I bought the saree in Jan 2017 a full two years before my 50th birthday at the Cooptex “Festive Weaves” exhibition in Gurgaon. There were two of them.. one in black and one in deep purple. I tried to like the deep purple against my natural affinity for black but then Rao Sir and Venkatesh came around and told me to get the black one and I did just that. The minute I saw this saree, I knew it will be my 50th birthday saree – I just fell in love with it. The vertical lines are rising like the wings of an airplane and this is woven by the master weavers at Arani. 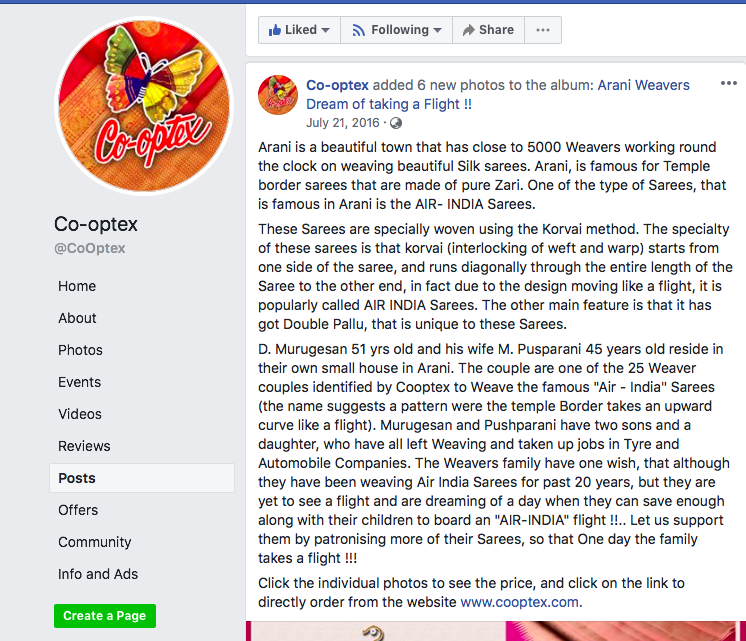 Here is a detailed description from the Cooptex FB page on how these sarees are woven and how they got their name. While every saree from Cooptex has a small tag mentioning the weaver’s details, this saree did not have it. It must have fallen off somewhere while some of us were checking the sarees out. I am assuming that Mr. Murugesan and his wife Pusparani must have woven this saree and a huge thanks to them for weaving this beauty. 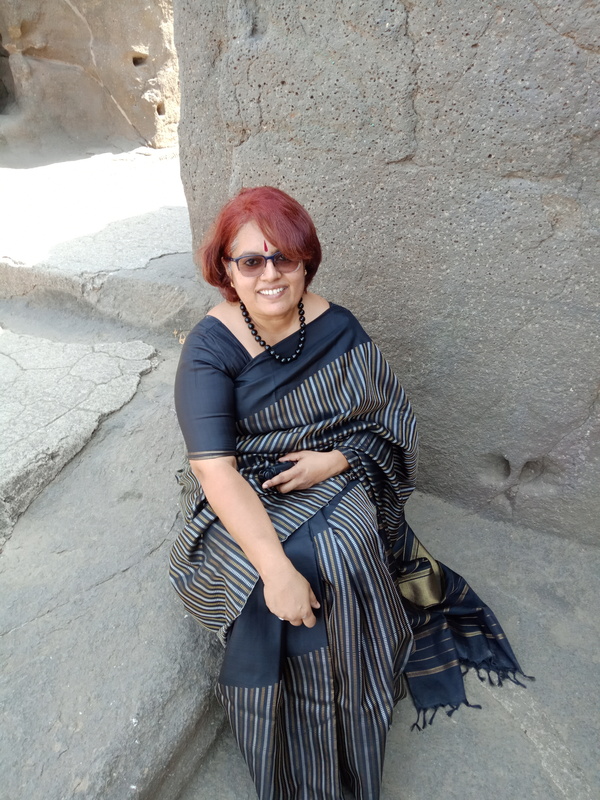 An important note about the Arani and Kanchi Silk Sarees – I wore this black Arani saree in the scorching heat of Aurangabad and didn’t get cooked ! These silk sarees keep you cool in the summers and warm in the winters – I know this from personal experience as I have worn them in the bone chilling winters of Chicago and the scorching heat of Delhi. So go on, buy yourself a Cooptex handwoven silk saree anytime and wear them anytime. Thanks once again to Mr. Venkatesh Narasimhan for reviving these beauties and making Cooptex what it is today. 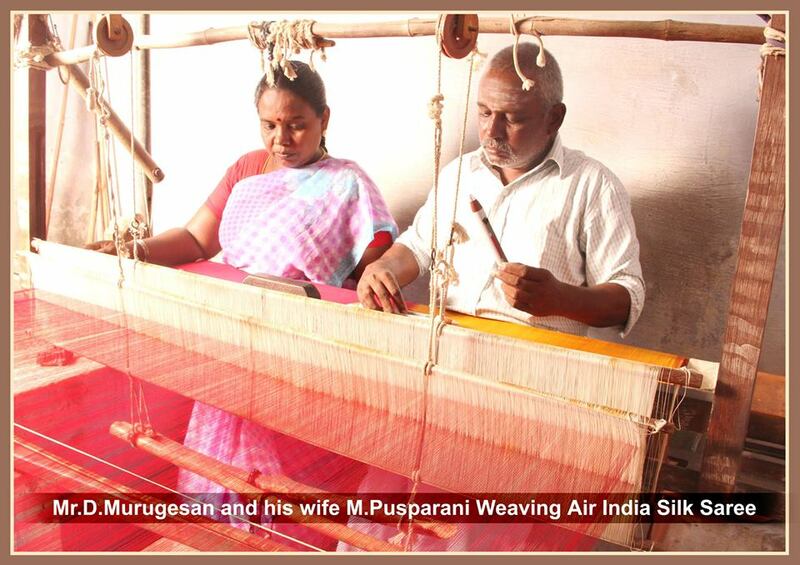 I love this “Air India” saree and hope I can in some way help Mr. Murugesan fulfil his dream of taking a flight.